This large Ovalflex adaptor is made of 304-alloy stainless steel construction with .015-inch--.018-inch nominal thickness. 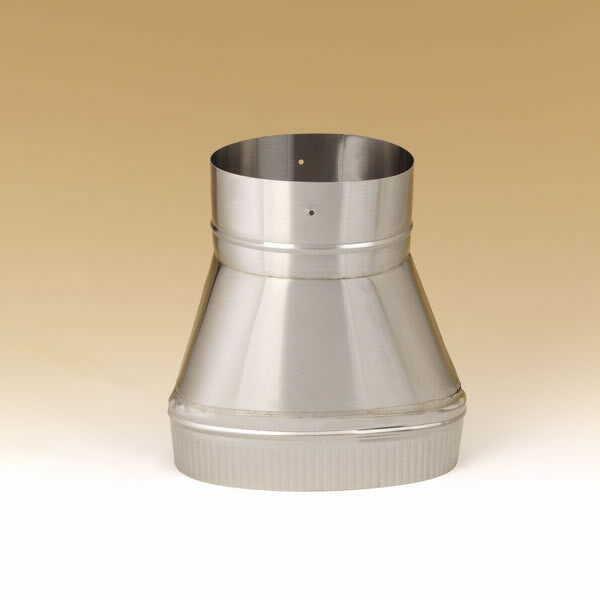 It allows you to come down the flue of your chimney with rigid or flexible stainless steel and then attach to Ovalflex pipe. The large adaptor measures 11 inches high by 8 inches round and the small adaptor end measures 10 inches high by 6 inches round. UL listed to 1777 standard for zero clearance it makes connecting Ovalflex chimney liner pipe to another type of liner pipe possible.